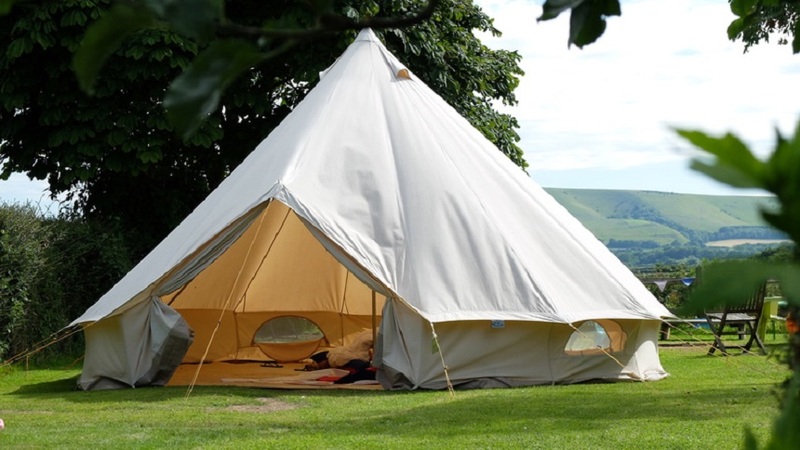 If you are attending or organising an event or activity at Huntley Wood, why not hire a Canvas Bell Tent to make your stay easier and more comfortable. 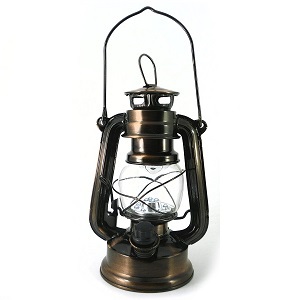 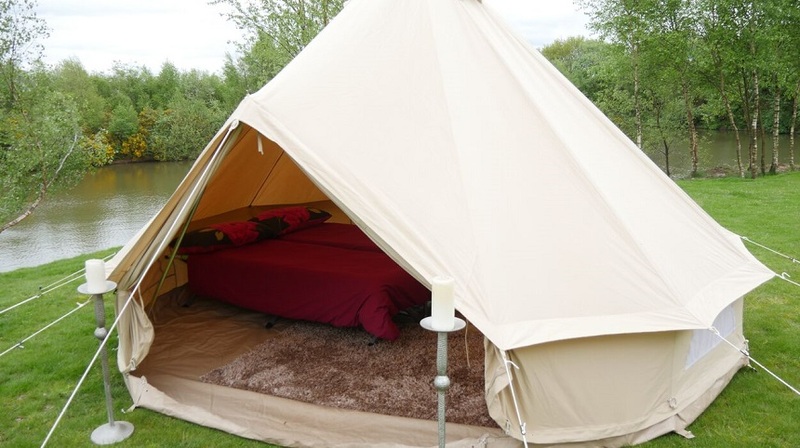 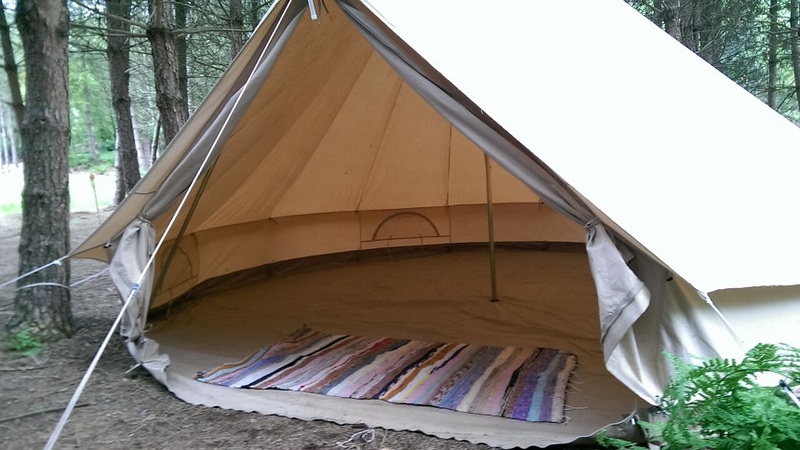 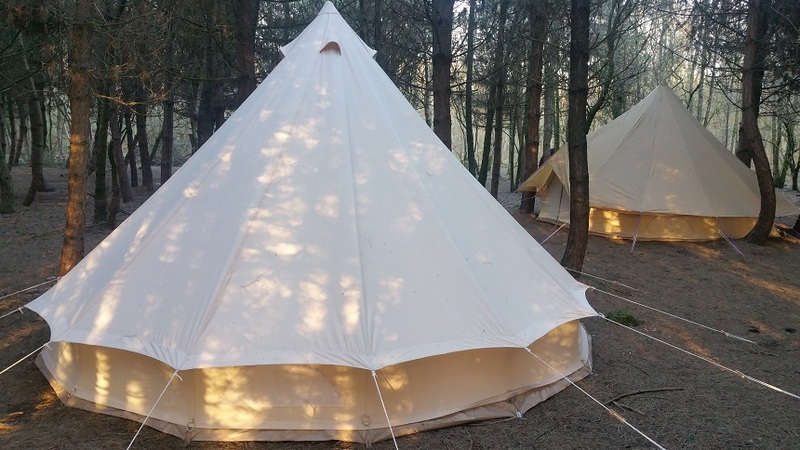 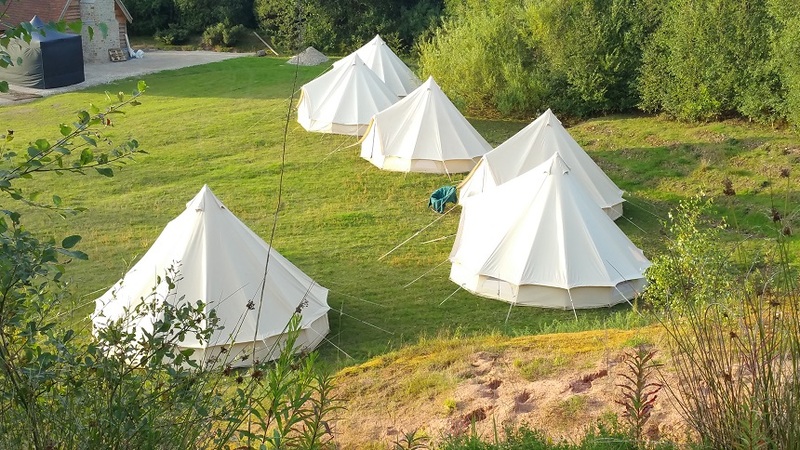 We have 5m round cotton canvas bell tents with optional extras like camp beds, lights, carpets etc.. We put the tent up for you prior to your arrival at Huntley Wood, and take the tent down after you depart, all you have to do is bring yourself and some bedding. 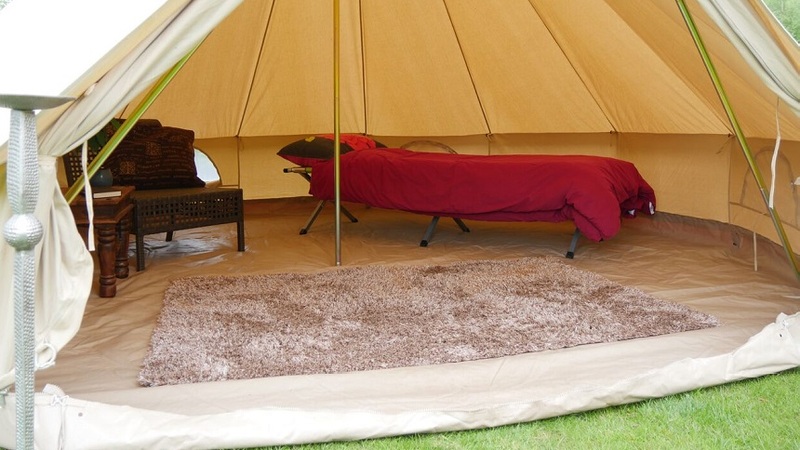 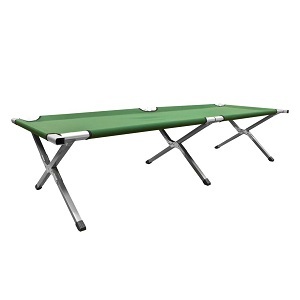 Why not share a tent with friends. 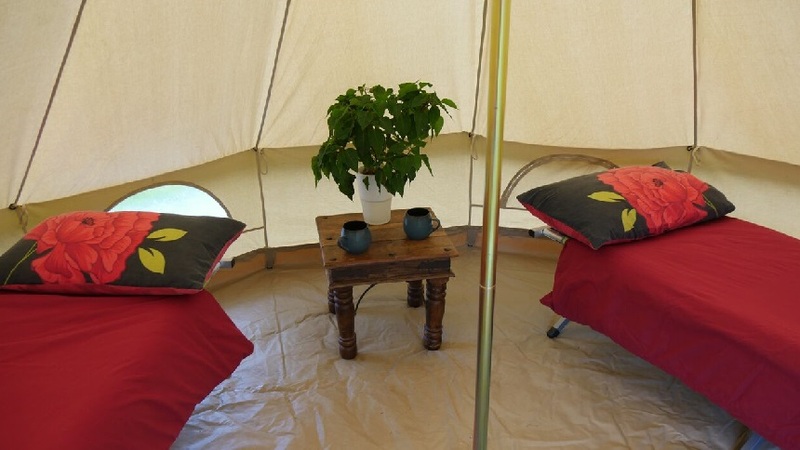 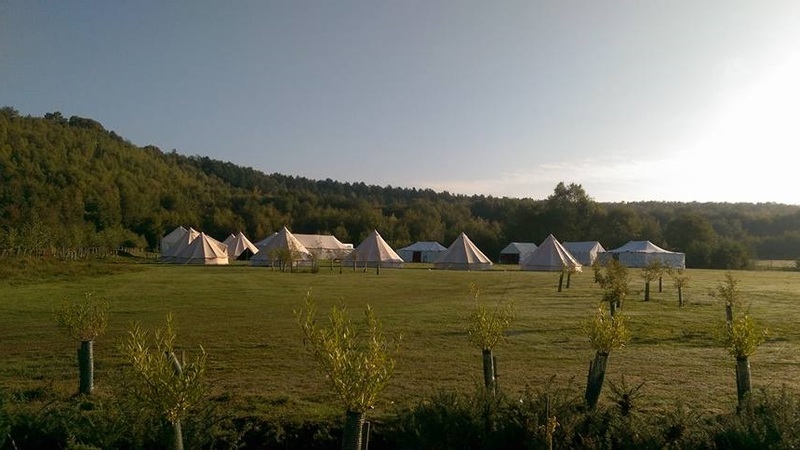 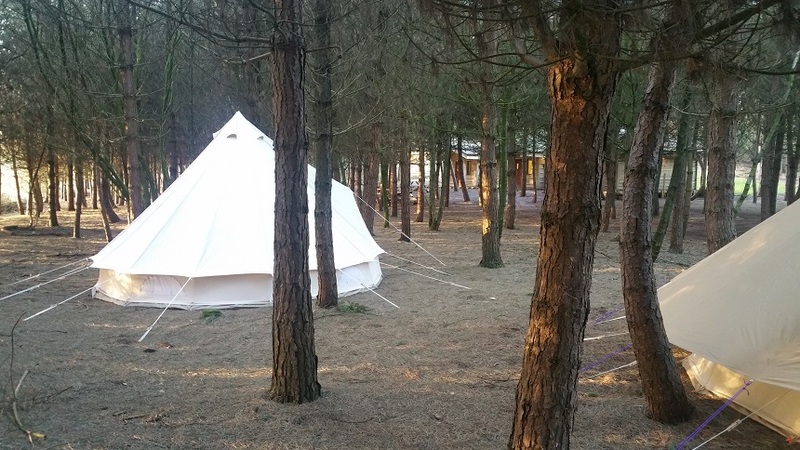 Our 5m Bell Tents can accommodate up to six people, which can create a very sociable camping experience and with shared costs, it doesn’t need to be expensive! 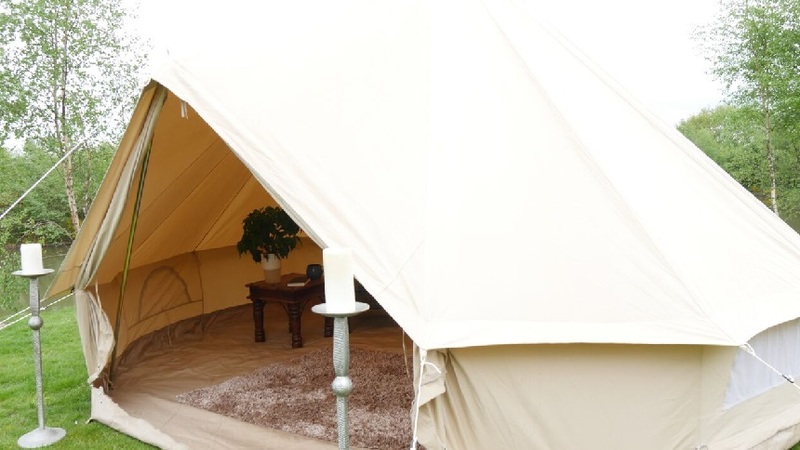 Our Bell Tents are made from 285gsm² 100% cotton fabric, protected & sealed by a water proof coating to ensure the inside of the tent is waterproof during wet weather & storms, with 540gsm² zipped in groundsheet providing a waterproof shield against the weather and creepy crawlies. 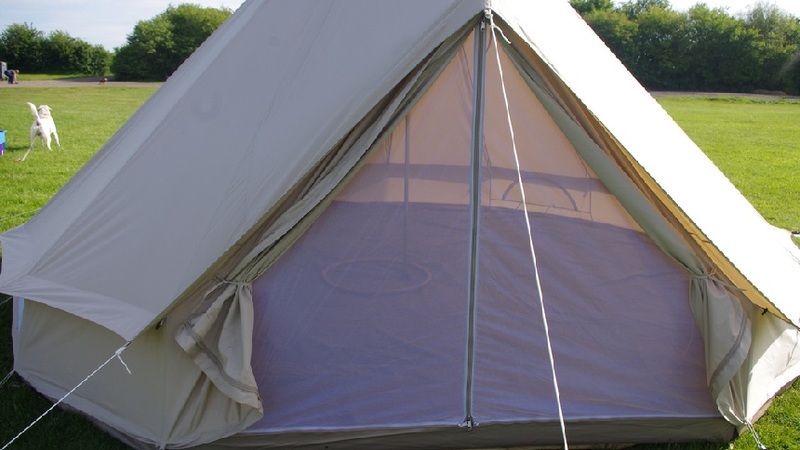 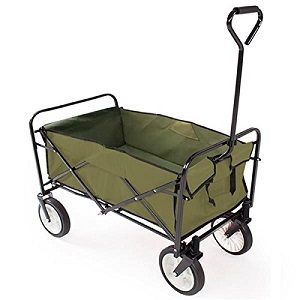 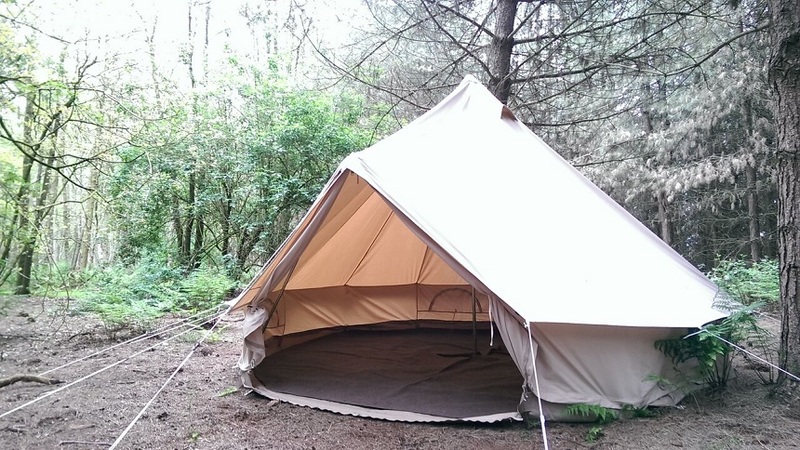 Unlike nylon or polyester, canvas keeps you warm and dry at night and cool when the sun is baking down, but drying and maintaining canvas tents is very difficult, and they take up a lot more space in the car, so why not let us do all that for you!